Hot & Spicy, BuddyPress 2.4.0 “Pietro” is delivered! Let’s discover the toppings that the team is most proud of in this latest major release. Drag, Drop, your cover image is awesome! 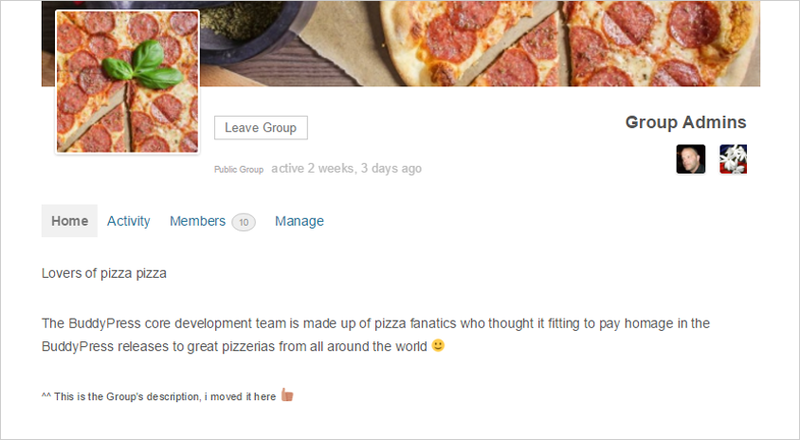 Built on top of the BuddyPress Attachments API, Cover Images beautify your profile or group header. Thanks to the BuddyPress Theme Compat API, Cover Images should integrate with your Theme in the best way and adapt to your device screen size. If you need some “fine-tuning” of this feature, an in-depth guide is available on our Codex. Should you need further assistance in implementing this feature, just drop by the BuddyPress forums where you’re sure to find BP users able to help you. 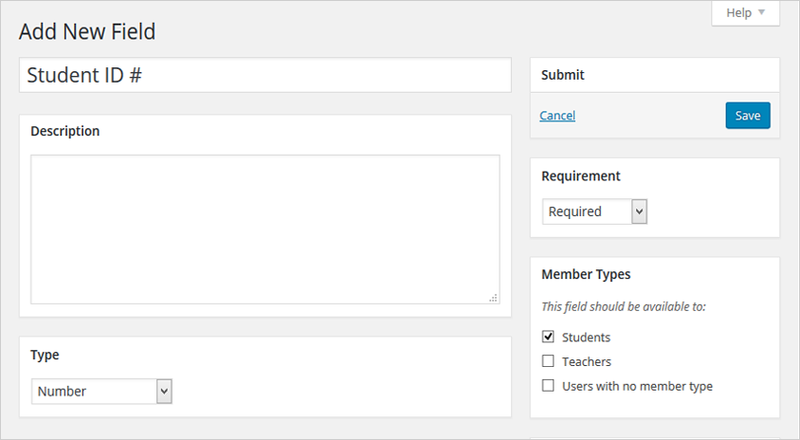 Introduced in 2.2.0, the Member Types feature allows developers to categorize the members of their community in any way they choose – say, students and teachers. If your community uses this great feature, you can now specify that profile fields be made available to either one, some, or none of the registered Member Types. 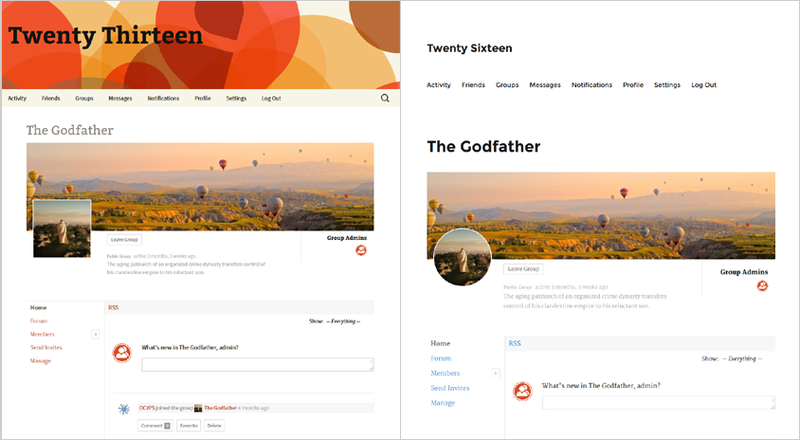 2.4.0 comes with two new companion stylesheets to make BuddyPress content work and look even better in the upcoming Twenty Sixteen theme and its older friend, Twenty Thirteen. BuddyPress 2.4.0 includes major improvements to the accessibility of our front-end templates as well as our Dashboard screens. This release marks the first stage in a concentrated effort to make BP even more accessible to users of all abilities. A unique Home Page for each group! A new template hierarchy is now available to customize each and every group’s home page. Just use the new front.php template inside your single groups templates directory. Read about all the bug fixes and feature enhancements introduced in BuddyPress 2.4.0 at our official 2.4.0 changelog. A little of them is in BuddyPress 2.4.0. Let’s thank them all. Ankit K Gupta, anthonyvalera, Boone B Gorges (boonebgorges), Brandon Allen (thebrandonallen), BuddyBoss, Christian Wach (needle), damland, danbp, daniluk4000, David Carson (davidtcarson), David Cavins (dcavins), Derek Herman (valendesigns), ganesh641, Hugo (hnla), J.D. Grimes, JeffMatson, jmarx75, John James Jacoby (johnjamesjacoby), Jon Breitenbucher (kahless), Jonathan Brinley (jbrinley), Joseph G. (dunhakdis), lakrisgubben, landwire, Laurens Offereins (Offereins) lenasterg, m@rk, mahype, Mathieu Viet (imath), mehulkaklotar, mercime, Michael Beckwith (tw2113), modemlooper, paresh.radadiya (pareshradadiya), Paul Gibbs (DJPaul), r-a-y, Rami Yushuvaev (ramiy), Ritesh Patel (ritteshpatel), Sergey Biryukov (SergeyBiryukov), shanebp, Slava UA (slaffik), Stephen Edgar (netweb), svenl77, Tanner Moushey, thomaslhotta, vnd, and willgladstone. Marino Pietro is a native of Napoli (Italy) who moved to Paris in 1999 as a waiter, he now owns three Italian restaurants in the French capital. “Chez” Pietro you’ll find new flavours, colourful antipasti, original recipes of pasta, a fantastic tiramisu and of course generous and delicious pizza. Marino Pietro’s cooking is authentic and traditional like an “Italian Mamma” could do it, and only contains fresh products directly imported from Italy. You can download BuddyPress 2.4.0 from the wordpress.org plugin repository, or right from your WordPress Dashboard.